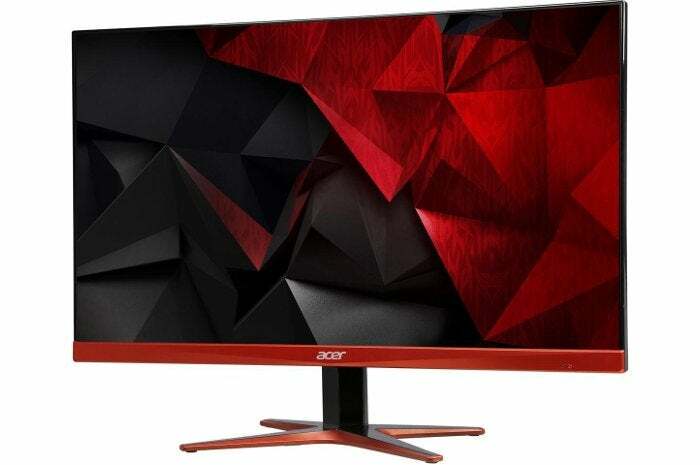 The Acer XG270HU Red monitor is just $300 at Newegg right now. If you plan on celebrating liberty with a full day of gaming on July 4, Newegg’s got a great deal on a sweet monitor right now. The electronics retailer has a 27-inch 1440p Acer FreeSync monitor for $300 with checkout code EMCPVRY42. That’s about $65 cheaper than what you’ll find elsewhere. Newegg’s says this price is good through Thursday July 5. Acer’s XG270HU trades in the usual black frame and stand for a more vibrant red. It has 2560 x 1440 resolution, and an edge-to-edge frameless design making it easier to combine two monitors without a big gap at the seam. It’s rocking a 1 millisecond response time, and runs up to 144Hz. And yes, this is a TN (Twisted Nematic) panel, which is why it can offer such fast response times, but critics says the colors aren’t as vibrant and the viewing angles are poorer than on an IPS display. On the back are two DVI, one HDMI, and one DisplayPort connection. There are also two built-in speakers if you want to use this display with a console. The best feature of this display—besides its fast response time—is that it comes rocking FreeSync. This is AMD’s variable refresh rate technology that reduces screen tearing and stutter for a smoother gaming experience. The catch is you need a compatible AMD Radeon graphics card to use FreeSync, but the pairing is well worth the price.